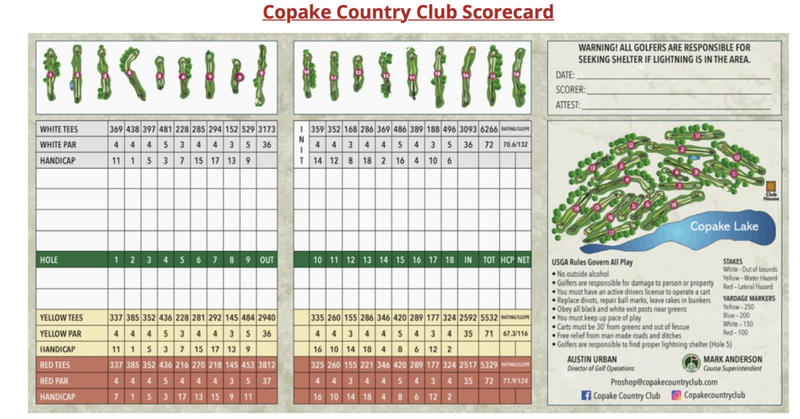 This is an ok country golf club. The course was in pretty bad condition when we played it. Not much maintenance and beaten up by some golfers who don't seem to understand the value of replacing divots etc. With our dear friends Clarke and Trish at the opening hole. 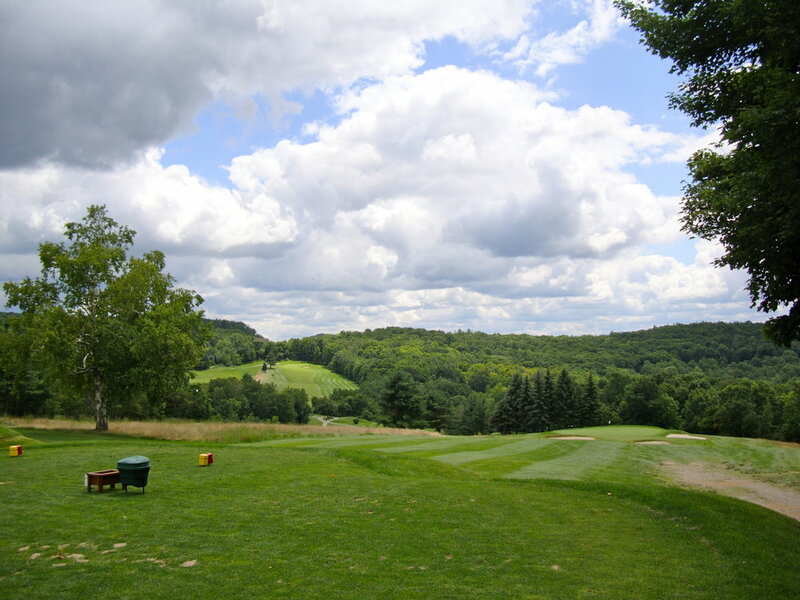 This is from the Club's website: Nestled in the foothills of the Berkshire and Catskill Mountains, The Greens and the country club were saved from a developer's wrecking ball in 2005 by Jon Urban and his business partner, Ross Mauri. 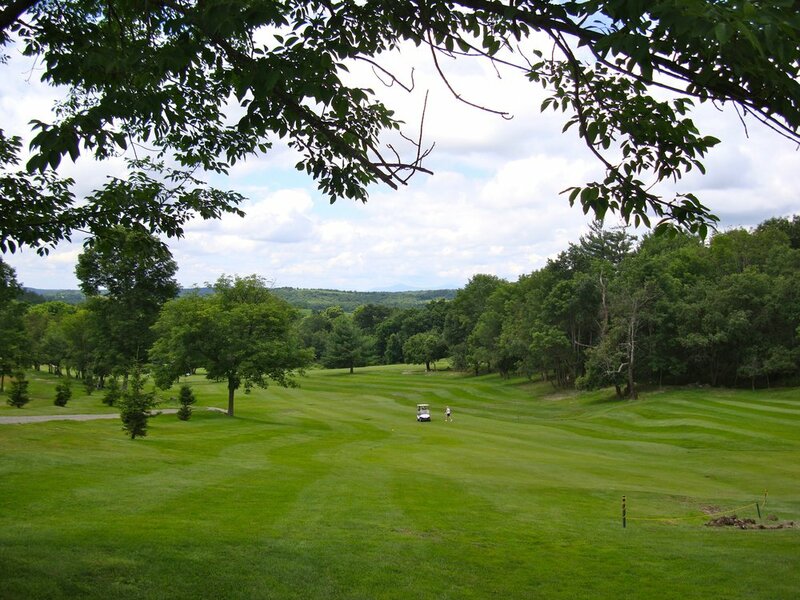 The Greens restaurant is part of Copake Country Club, the stunning 160 acre golf course in Columbia County. 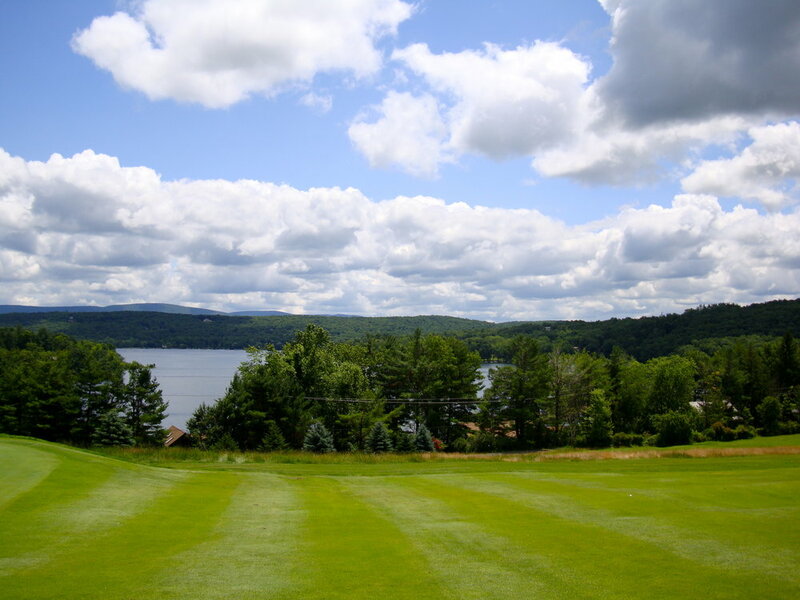 Together, the two have poured their passion and love for the game of golf into the property and subsequently into the classic American restaurant now known as The Greens.